Dubliner Eoin Morton started racing late, at age 22, after touring the world for a year, where his love for everything two wheeled grew. Racing soon became his passion and he was able to combine a growing cycling career with an Environmental Science Masters programme at University College Dublin and, along the way, lead the University’s road and track team to the #1 spot at the World Student Games in 2014. 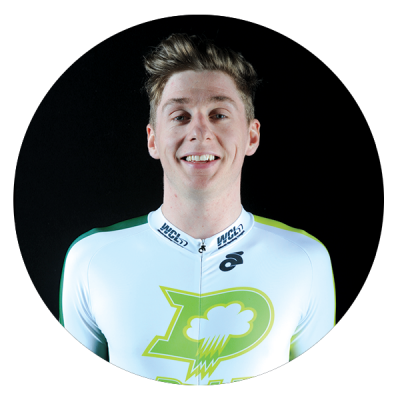 Now at 27, he is one of Ireland’s top ranked cyclists with many domestic and international wins on both road and track. Equally at home in tough road races and fast endurance track events, watch for Eoin to attack when least expected.